Papatea Fault uplift pushed SH1 highway up by over 4 metres. GNS earthquake scientists consider the rupture damage where the fault rupture has left significant changes. 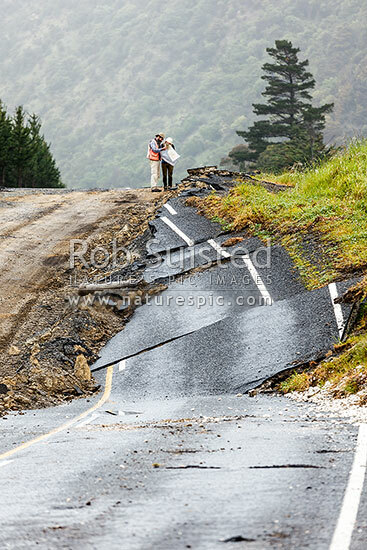 Kaikoura M7.8 earthquake, Waipapa Bay, Kaikoura District, Canterbury Region, New Zealand (NZ), stock photo.